Articulated robots are robot with rotary joints. 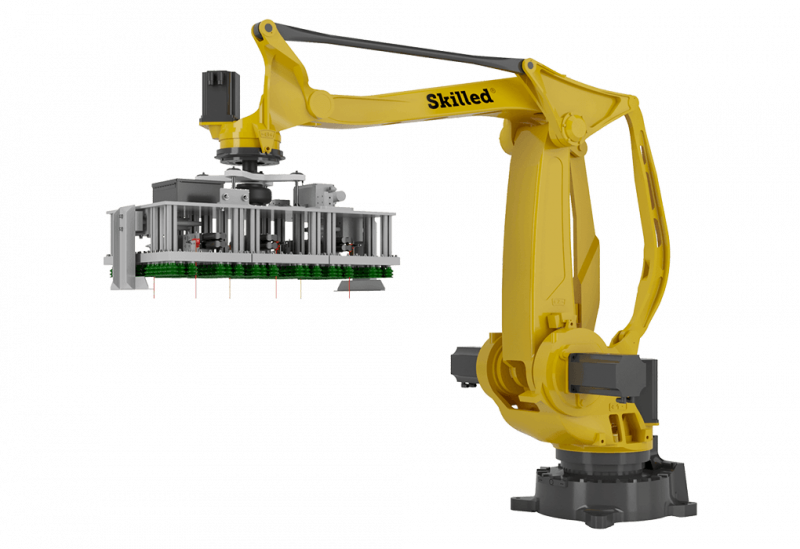 Articulated robots can range from simple two-jointed structures to systems with 10 or more interacting joints. They are powered by a variety of means, including electric motors. An articulated robot, like the our Skilled 304 or 603, is a robot that can be used for several different applications and has a large work envelope. These robots are able to improve a company’s productivity through improved speed and accuracy, which also improves the quality of the product being produced. Also, because of their popularity and their longevity, articulated robot systems are more affordable than ever before. Ideal for pick & place applications, fast product handling, orientation, pallet-box filling and also palletising low pallet loads.